When it comes to healthy eating – indulging in commercial hot chips is a no no. Of course the occasional hot chip intake isn’t going to do us any harm but there is a rising trend in hot chip alternatives that are taking over? Sweet potato chips and now even zucchini chips are making their way onto menus at popular cafes and takeaway joints. Polenta chips? Parsnip chips? Even eggplant chips? But what about brussel sprout chips? A lot of people turn their head away from brussel sprouts because of a bad child hood experience or the common annotation of them. But wait… here is a fool proof SIMPLE recipe that might just convert you. METHOD: Preheat oven to 180 degrees Celsius. 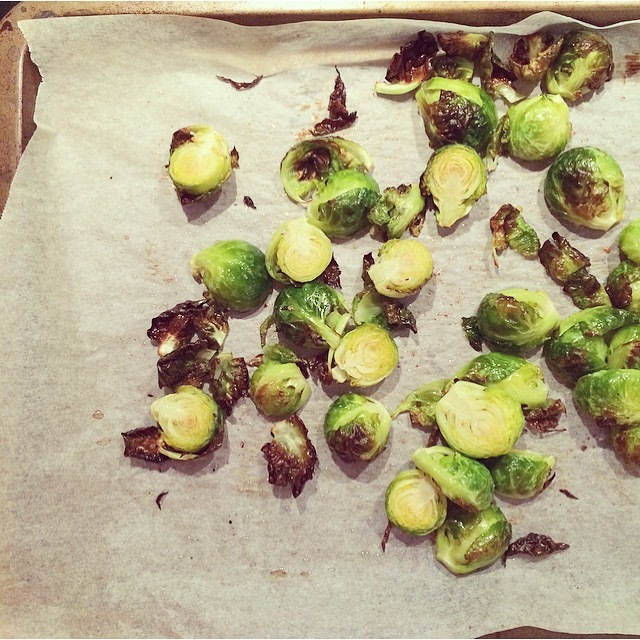 Cut the end off the Brussels and slice in half lengthways. Toss is melted oil and place on lined baking tray. Sprinkle with sea salt and place in oven for 20-30 mins until brown and crispy. Alternatively you could pan fry the ingredients together until brown and crispy. You want the outside to be super crunchy (dark brown is ok) and the inside to be warm and soft. Deeeeelish! 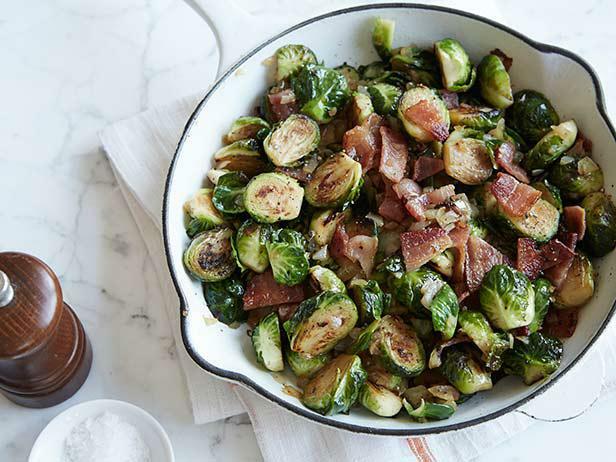 * Now for those super fussy anti greenies out there before placing the tray in the oven finely dice 4 rashers of bacon and sprinkle on top of the brussel sprouts. Place in oven for 20-30 mins until the bacon is equally crispy. Bacon is NOT bad for you when eating in moderation. Just make sure you choose the rindless healthier cuts of bacon. Serve immediately as entrée or side dish for a main.